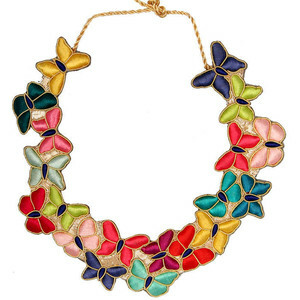 I love bright and cheerful colors and butterflies (in case you didn’t know – hee hee ). I think the appeal to me is the promise of reinvention. The thought that it’s not too late to become something majestic and beautiful. I guess I’m an optimist that way. I am a lover of all things butterflies. They are beautiful and represent elegance and fresh starts. Thanks Valcitygal!!! Diva, I can’t get enough of butterflies, either.